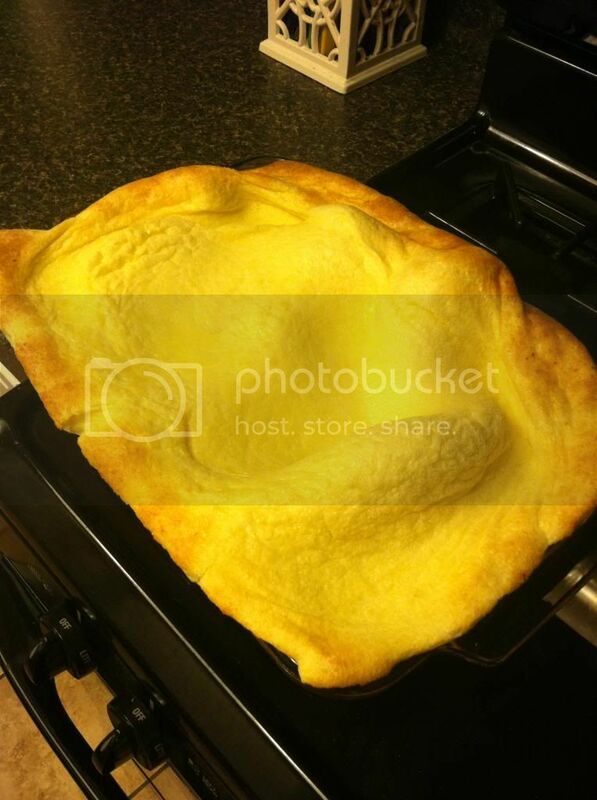 I've cooked this quick breakfast recipe (essentially a ginormous dutch baby) several times over the past couple of years. I usually prepare it Sunday night and eat it throughout the week topped with a drizzle of maple syrup. Melt butter in the bottom of a 9- x 13-inch pan in the oven. Whisk the remaining ingredients in a large bowl until thoroughly mixed. Pour into the hot buttered pan and bake for 15 to 20 minutes, until high bumps appear and the top is lightly browned. Perfekt replika Ray-Ban, kombinerer elegant stil og banebrytende watchmaking-teknologi, en rekke stilarter av Perfekt replika Ray-Ban, går pekeren mellom din eksklusive smaksstil.